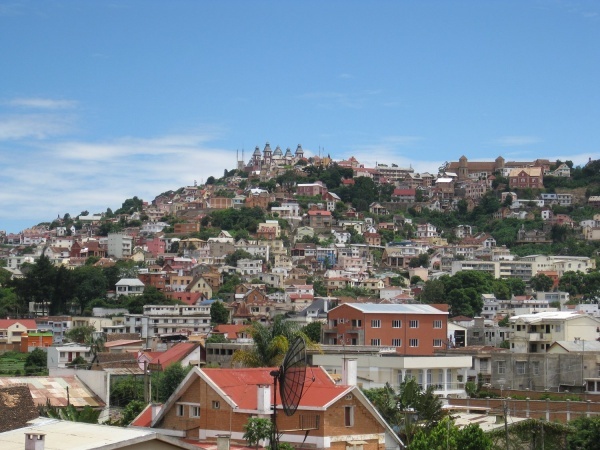 The Andafiavaratra Palace, also known as the Prime Minister's Palace, is located north of the Queen's Palace in Antananarivo. Andafiavaratra literally means facing north. It functioned as the palace of the prime minister during the reigns of the last queens. 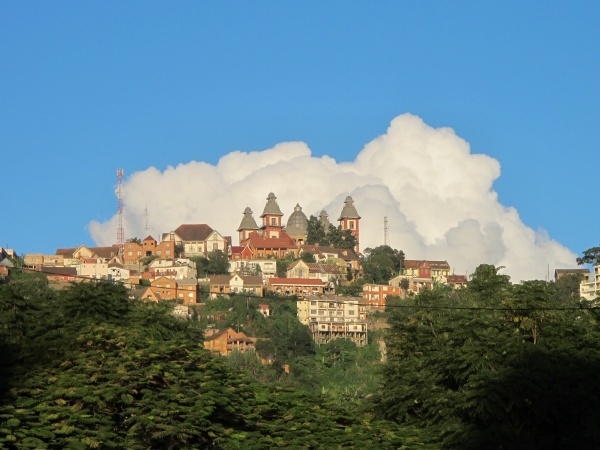 View of Antananarivo with Andafiavaratra Palace on the hilltop. The original palace was built by wood under the supervision of Queen Ranavalona I. In 1872, this wooden palace was replaced by the current palace according to the plans of British architect William Pool. In the centre of the 3-storey palace there is a large reception hall which is lit up by a glass dome. Each of the four corner towers include a bell tower. From 1864 to 1895 the palace was the residence of prime minister Rainilaiarivony, who married three queens and excersised ultimate power from there. After Madagascar became independent, the palace was used as army barracks, court, school of fine arts, presidential palace and finally again as the prime minister's office. In 1976 the palace burnt down. After some great restoration it houses today an exhibition of precious items which were saved from the fire of the Rova in 1995, such as the red jacket of Radama I, the royal coral jewels, various royal portraits and the diadem of the last queen. Saturday to Thursday from 10am to 5pm, closed on Friday. Entrance fee 3.000 Ariary per person, about 1,15 Euro per person. Note: In 2012 the museum closed due to that the Royal Crown was stolen but was open again in 2014. This page was last modified on 5 September 2016, at 23:29.